I know fall is here and those of you in the Northeast just experienced your first show, but for those of us still in the sunshine it is always sandal season. Just this past weekend I was in Palm Beach, Worth Avenue and visited one of my favorite sandal shop - ilSandalo - Beautiful custom made Italian all leather sandals. My foot is unusual and I had almost given up on wearing most any stylish sandal. I have a very high instep so any standard strap going across the top of my foot did not fit at all. Think Mary Jane style straps - my foot just would not go far enough through the strap to be comfortable or even go on. While Worth Avenue shopping a few years back, I visited ilSandalo and met Fabio Tesorone the business owner and shoe designer. What a wonderful person. The store has factories in Italy and manufacture and design the shoe parts. Then using the parts, they make custom design sandals to fit, on premise or to order. The shoes are made to meet your special design and/or size needs. I have both of the shoes pictured above and love them. Please check out their web site (link below) and let Fabio know that Rhonda sent you, if you order. 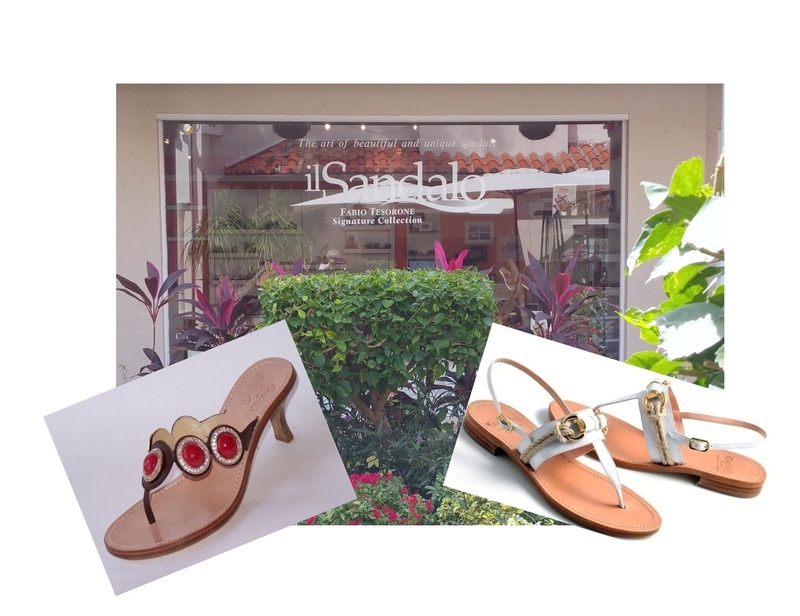 You will be satisfied with your custom fit sandals and Fabio's great customer service. Beautiful shoes! Think warm sunshine - plan ahead - visit Florida, and think of the beach with sand between your toes along with beautiful sandals at elegant beach front restaurants. We do love our shoes!